Having a log cabin tucked away in the wilderness somewhere, ready and waiting for secret weekend escapes from reality, is a dream many of us understandably harbour. There is no building material more comforting than wood, or more evocative of a sense of home (for some reason, even if your childhood home wasn’t made of wood at all). Wood brings reassurance through the natural warmth of its colours, and makes us feel a little bit closer to nature no matter where we are. 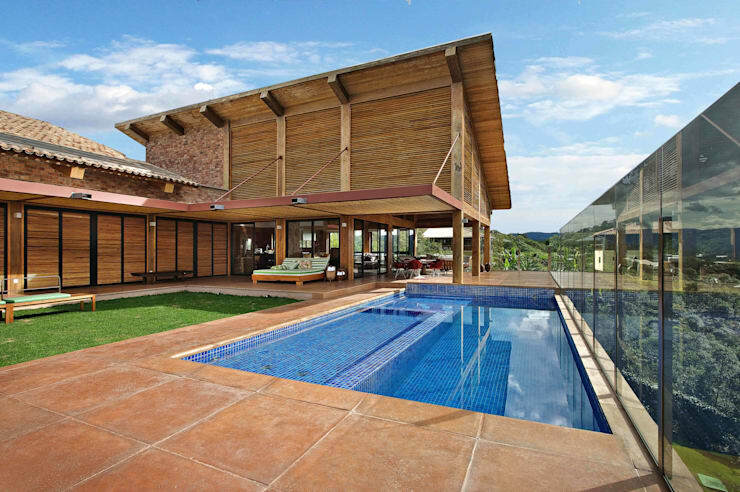 Building a house primarily out of wood also allows some of its most impressive structural features, such as roof beams, to remain exposed and to contribute to the overall design. But more than anything, a wooden house says “you are not in the city now” – words even the most jaded of urban dwellers undoubtedly longs to hear from time to time. All of the cabins seen here tap into this desire to escape the concrete jungle and connect with nature. These are dream retreats, where one can imagine that checking Facebook might be banned and you could easily go a whole weekend without bumping into another human being. Bliss. 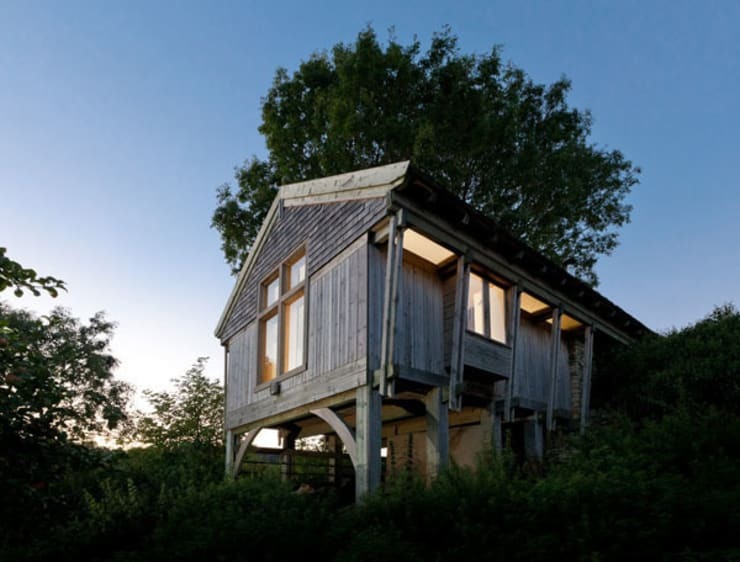 Propped up on stilts, this cute cabin seems to have a well-deserved sense of superiority. 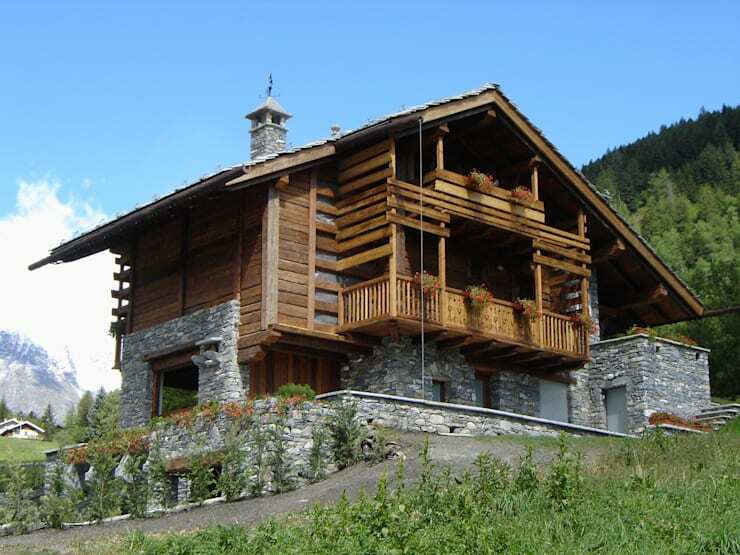 In a way, building a house such as this one could be seen as the delayed fulfilment of a childhood dream: kids often feel attracted to secret places and high places (see also: bunk beds) and this cabin is both of those things. 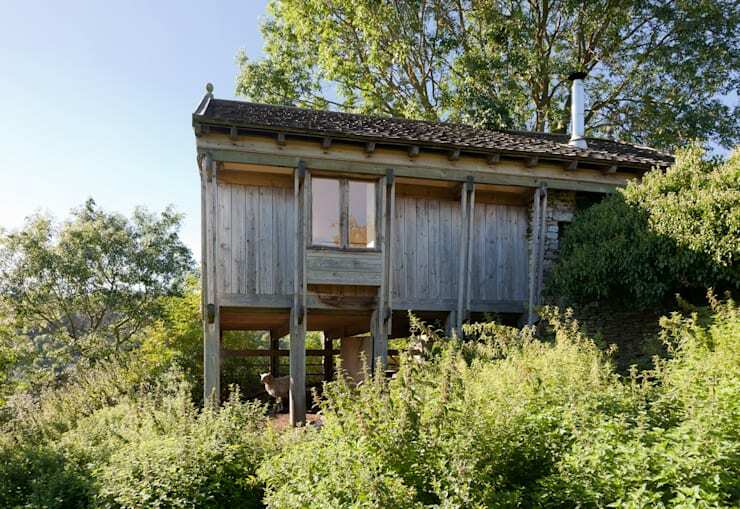 As it's perched on a hilltop with little else for miles around (except for sheep, evidently), this cabin looks very impressive indeed and, although small, can be seen from a great distance. Despite its prominence, however, no privacy is sacrificed; its careful positioning among foliage makes sure of that. OK, so if the last house was a bit like something a child might dream up, this one takes that impression even further. 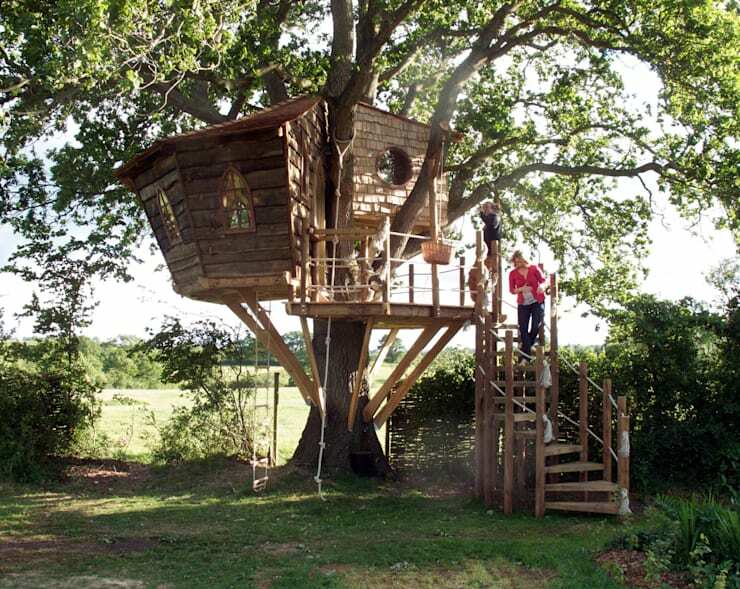 In this case, however, it is actually intended for children, so there’s a bit of a difference; but it’s fair to say that the adult members of the family would want to spend a lot of time hiding out in this wonky palace too. 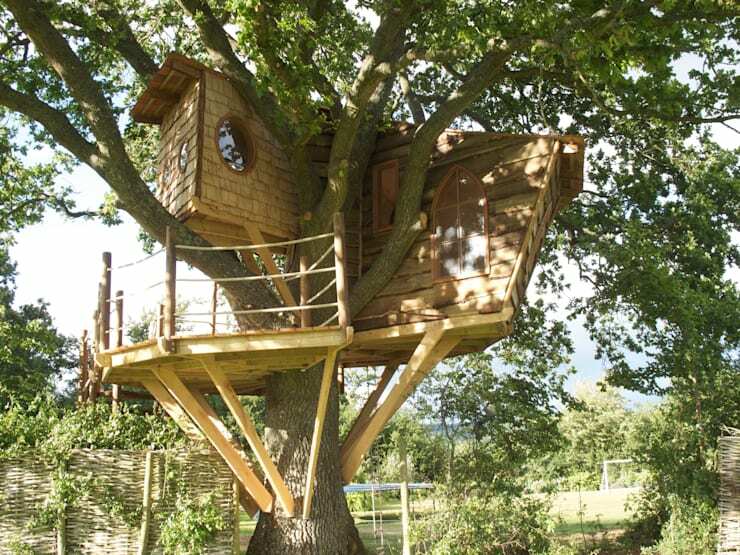 With its asymmetric windows, squint roof and irregular levels, this cabin would make the perfect home for your little witches or wizards in training. And what a view it is! 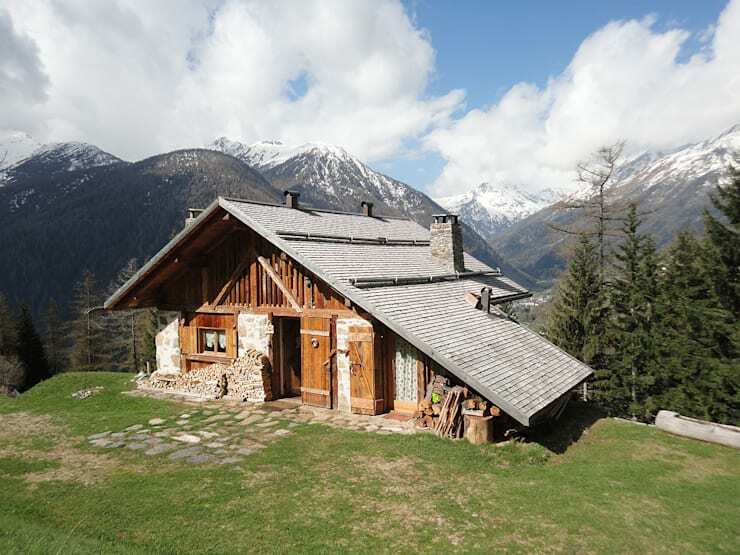 The classic design of this sweet cottage couldn’t be better suited to the mountain background. The most notable feature of this building is its fantastic roof, which comes down almost to the ground on one side. This would influence the feel of the interior space heavily, putting roof beams within touching distance and making the two floors very different in size and shape. At the more upscale end of the spectrum, this huge home comes complete with generously-sized wooden balconies to allow its occupants to get a bit closer to nature without actually getting into nature. Again, that traditional roof shape means that the rooms on the top floor will have beautiful sloping roofs with exposed beams. This ultra-modern take on the log cabin features a lower level built almost entirely out of glass, contrasting strongly with the traditional materials used above. 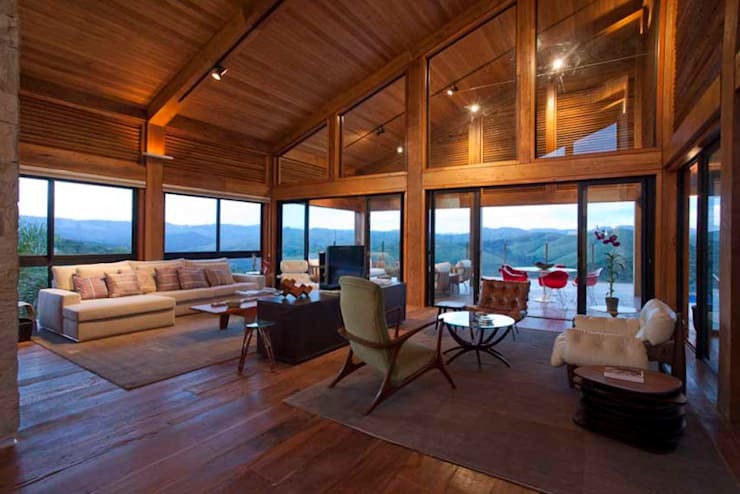 In the interior, glass has been fitted between the roof beams to create a uniquely contemporary update on one of the defining features of a classic log cabin.